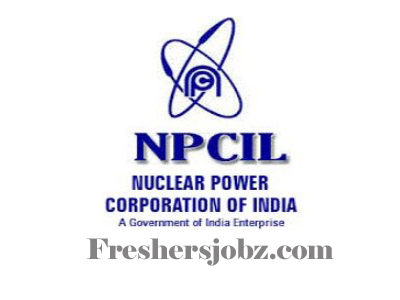 NPCIL Notification 2018.Nuclear Power Corporation of India NPCIL has released a notification for the recruitment of Stipendiary Trainee/ Scientific Assistant, Stipendiary Trainee Operator vacancies.Check the eligiblity and notification prior to apply for the positions. 1 .Birth Certificate/SSC Mark Sheet as a proof of Date of Birth. 3. Experience Certificate/Service Certificate issued by the Employer indicating the period of service, nature of experience like full time/part time,designation and details of job or responsibilities clearly. 5. Disability Certificate issued by the Competent Authority in the prescribed format in respect of Person With Benchmark Disabilities (PWBD). 8. Any other relevant certificates (as applicable). 1 .Only Indian Nationals are eligible to apply.Presently, all above mentioned posts are identified for Narora Atomic Power Station but carries with it the liability to serve in any of the units/Sites of the Corporation or at any place in India/abroad depending upon the requirement of the Corporation. 2 .The cut-off date for reckoning Age Limit, qualification and Post Qualification Experience would be closing date prescribed for filling online application i.e 12.11.2018. The cut-off date for determining all eligibility criteria i. 12.11.2018 would remain same even if the closing date for submission of online application is extended for administrative / technical reasons.Candidates who are awarded Gradations under the CGPA system are required to produce proof issued by the University / Institute converting the CGPA Gradations into appropriate percentage at the time of document verification. 3. Before submitting the online application, the candidate must ensure that he/she fulfil all the eligibility criteria with respect to age, educational qualifications, work experience and other requirements as published in the online advertisement. If the candidate is not eligible, his / her candidature will be cancelled at any stage of the recruitment. If the candidate qualifies in the selection process and subsequently, it is found that she/he does not fulfil the eligibility criteria, her/his candidature will be cancelled and if appointed, services so obtained will be terminated without any notice or compensation. 4. The candidate's appointment will remain provisional subject to caste certificate being verified through proper channel and verification of testimonials. The candidate's services will be liable to be terminated forthwith without assigning any reason in case the above verification reveals that her/his claim for belonging to SC/ST/OBC/PWBD category and other testimonials is found false. NPCIL also reserves its right to take such further action against the candidate, as it may deem proper, for production of such false certificates and testimonials. 1 .A Candidate has to apply through online application form provided on the website www.npcilcareers.co.in.only.The online application form will be available on the website from October 18, 2018 to November 12, 2018 (17:00 Hrs). Before applying online, candidate should scan his / her photograph in JPG format, of size not more than 50KB and a minimum of 125 x 165 pixels (4.4 x 5.8 in cm) in dimensions and signature in JPG format of size not more than 20KB and a minimum of 125 x 80 pixels (4.4 x 2.9 cm) in dimensions. The photograph uploaded will be printed on the Admit Card and only the applicant whose photograph is printed on the Admit Card will be allowed to appear for Written Examination. 2 .Once the applicant reaches "Submit Application" stage, a draft of all the information entered by the applicant will be shown. At this point the applicant is allowed to modify any details entered in earlier stages.If applicant is sure that all the information entered is correct, he / she can submit the application using "Submit Application" option. Applicant will not be allowed to make any changes in the information furnished once he / she submits the Application. After submission of application, an Application no. will be generated. The printed application is required to be brought at the time of attending interview. The Online Application Process for any of the post advertised is complete only after all the above mentioned applicable steps are complete.